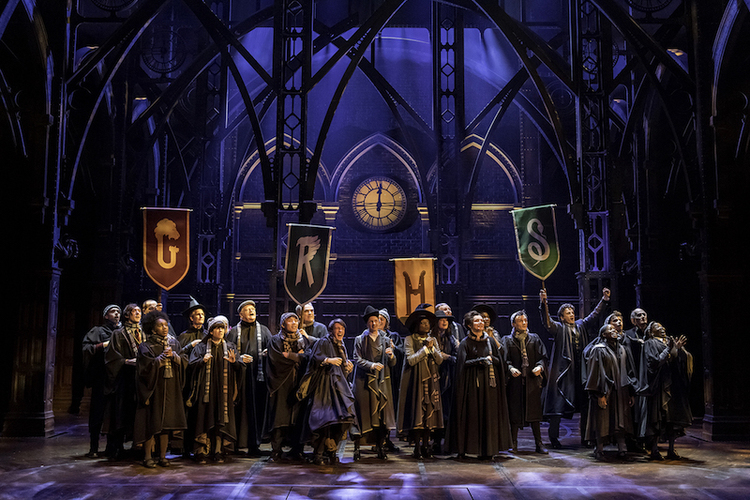 As a means of continuing the story of beloved wizard Harry Potter, a theatrical play was an inspired choice. 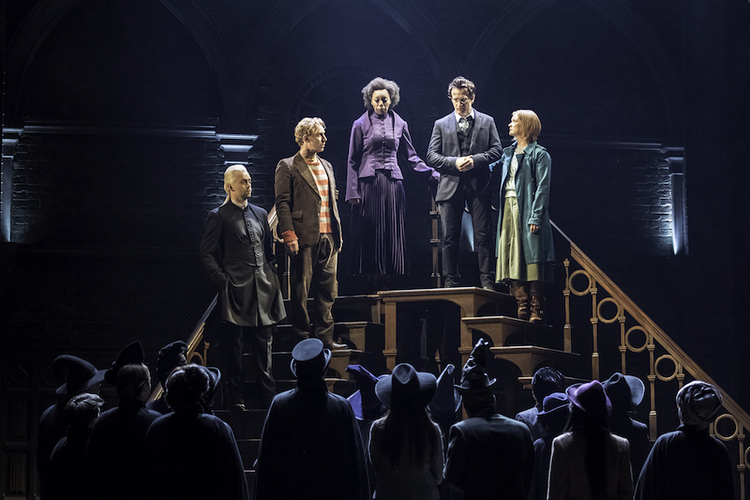 Allowing the original book and movie series to stand intact, Harry Potter and the Cursed Child explores the adult lives of the well-known characters, and introduces a new level of excitement to the magic of their world by having illusions performed live on stage without the luxury of CGI. The only scene that can be discussed in any detail is the opening, because this has been disclosed in full at the end of Harry Potter and the Deathly Hallows. 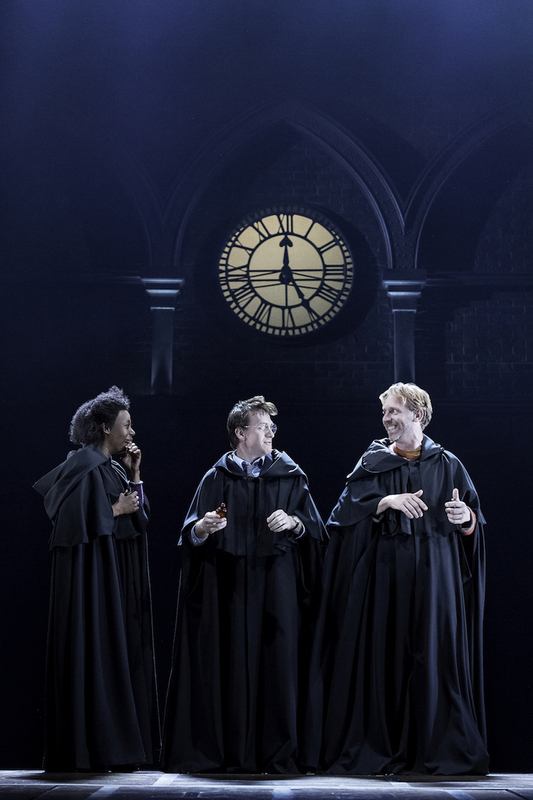 The play begins where the book and film left off, with Harry and Ginny Potter, Ron and Hermione Granger-Weasley and Draco Malfoy at Kings Cross Station seeing their children off to the start of the school year at Hogwarts. A somewhat unlikely friendship is formed on the train, and the exploits of this pair form the basis of the dramatic story. As with the movie series, J. K. Rowling has provided the story but has not written the script. Jack Thorne is the playwright, and both he and director John Tiffany are also credited with giving input to the story. The imaginations of Rowling, Thorne and Tiffany have created a suspenseful, intricately plotted story that has the audience hanging on every moment for the running time of over five hours. The beauty of the story is that it takes the saga forward while also incorporating an abundance of opportunities to reference the existing mythology of the series. Set designer Christine Jones takes the Kings Cross location as inspiration for the overall design, setting the action below grand overhead arches. 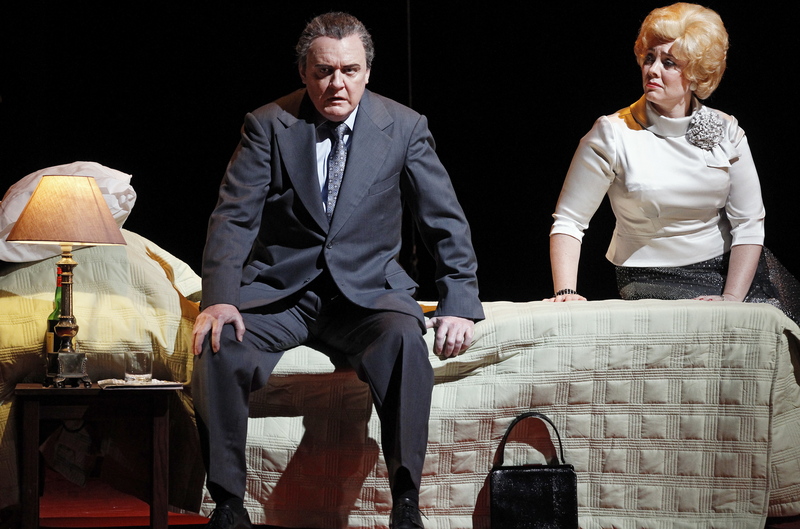 As with the modern style of scenic design, the solid backdrop remains on stage while individual scenes are created with minimal props. Here, these props include a pair of wooden staircases, some wood paneled walls, some doors and a large number of suitcases. Even with the massive budget, the props are still just brought on and off stage by the actors. 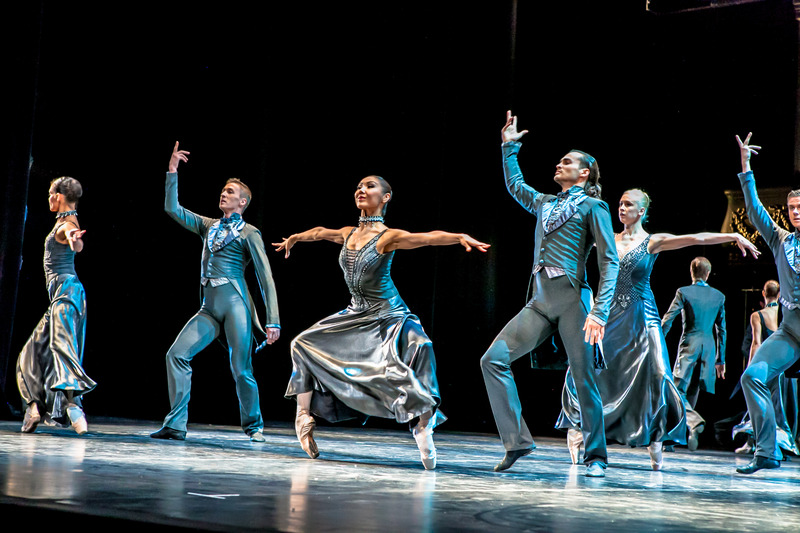 Katrina Lindsay’s costumes, which are often part of the magical effects, are quite neutral and straightforward in their design. The concept of giving characters a signature colour is good for identification (especially for those sitting in the fourth level) but has the unusual effect of making it appear that the adults do not changes their clothes, even as years pass. Hermione, in particular, wears the same rich purple outfit for almost the entire show. Lighting is frequently crucial to the magic, and Neil Austin’s design creates inky blackness just as successfully as it draws the eye both towards and away from the accomplishment of illusions. Over and above the sound and light effects that accompany most visual tricks, the commitment of the actors is paramount to the impact of these moments. Tiffany often has the actors contort their bodies and faces, and fling themselves about the stage, as their characters are subjected to all manner of magic. It is a credit to Tiffany and the cast of thirty that the story and the magic are as believable and affecting as they are. At this point, the original cast are really firing, and group scenes that involve heated discussion contain rapid fire delivery of dialogue and a strong sense of trust. The play is enhanced by moments of choreographed movement, by Steven Hoggett. Hoggett is also credited with setting the fluid scene changes, which are performed with stylish flair. 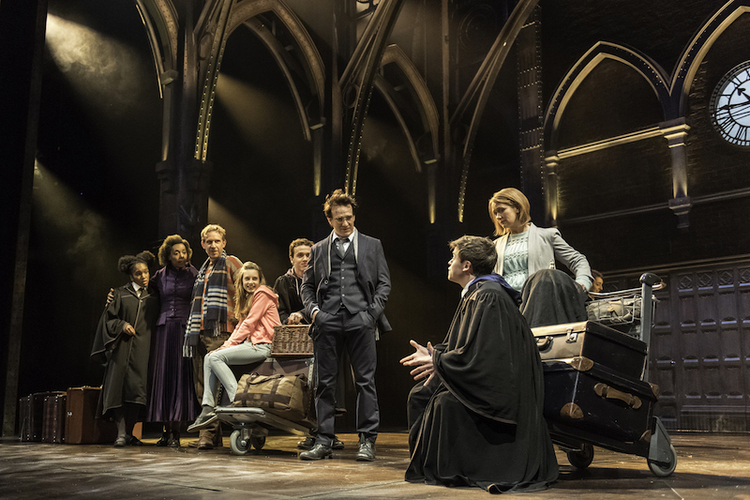 Accomplished West End leading man Jamie Parker plays the adult Harry Potter with an affecting mix of strength and vulnerability. 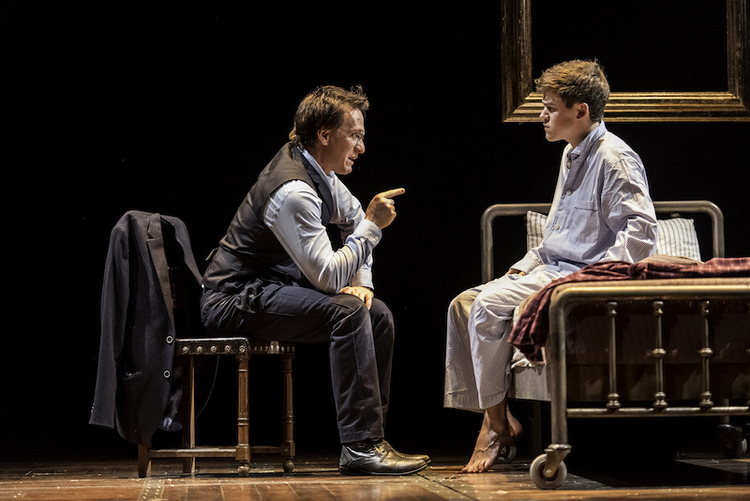 Young actor Sam Clemmett is terrific as Albus Potter; Parker and Clemmett portray an emerging father-son bond without any cloying sentimentality. Anthony Boyle gives Scorpius Malfoy an endearing level of nervous energy, creating a character who is significantly different from his father. Paul Thornley proves the welcome laughs that can reliably be expected from Ron Weasley. 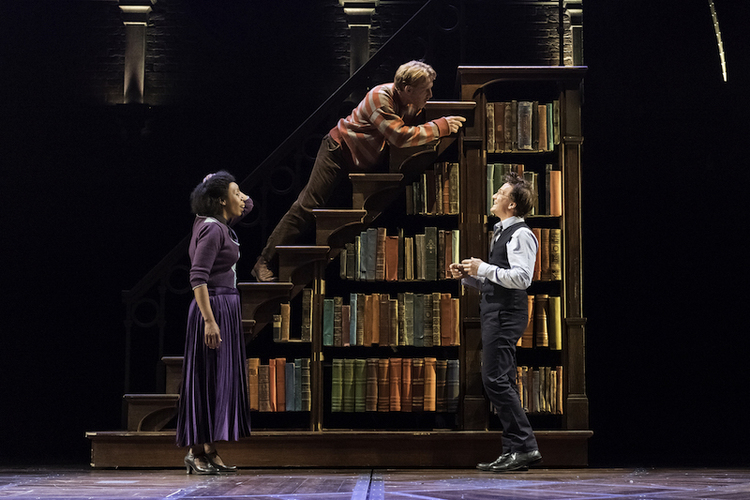 Given the extent to which most of the adult characters match their younger counterparts in appearance quite closely, it is a bold choice to cast Noma Dumezweni as Hermione Granger-Weasley. Dumezweni clearly conveys the forthright confidence and astute intelligence of Hermione, also colouring this with Hermione’s down to earth humanity. Having been in London for two weeks now and seen some 25 productions, it is clear that London theatre leaves the rest of the world behind in terms of diversity in casting. Plays seen this season, such as Saint Joan (Donmar Warehouse), Amadeus and Peter Pan (National Theatre) and Mary Stuart (Almeida), have been performed by wonderfully diverse companies of actors, with a very healthy absence of concern about the original nationality backgrounds of the characters. Sold out in London some 13 months ahead, Harry Potter and the Cursed Child Parts One and Two will doubtless run and run. The chance to see it will slightly increase as new productions open around the world; hopefully Melbourne will be on the list when the time comes. 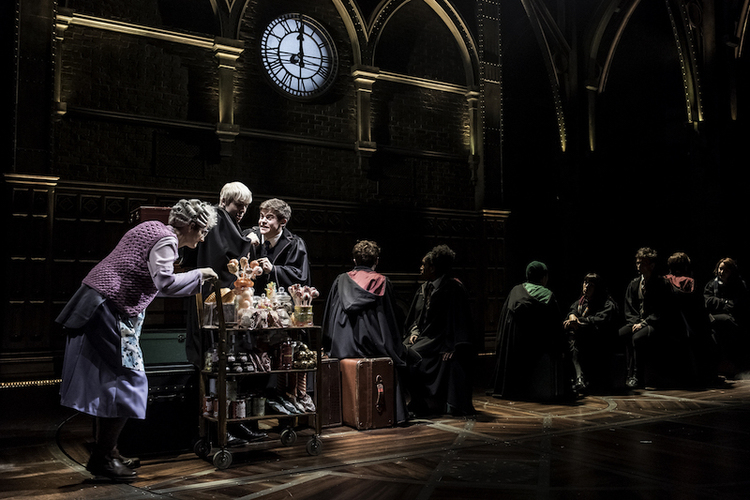 Harry Potter and the Cursed Child Parts One and Two plays at Palace Theatre, London. 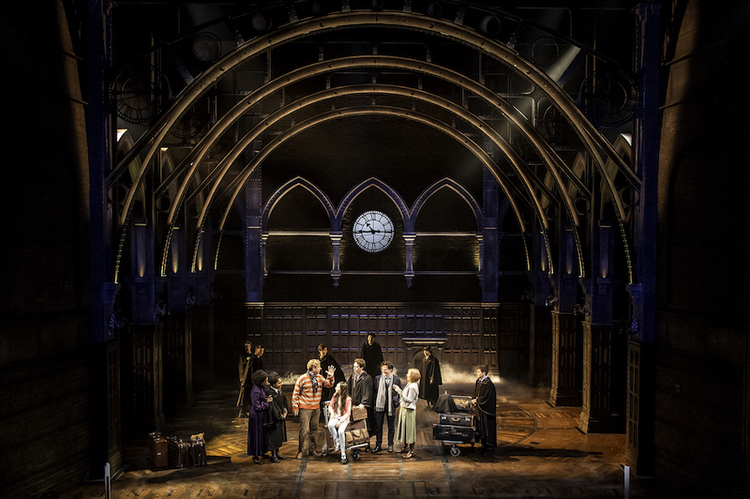 Harry Potter and the Cursed Child Parts One and Two was reviewed 1pm, 6.30pm Sunday 15 January 2017.